The close links between Devon Orchid Society and Burnham Nurseries that are evident today have been in existence for over 50 years. In 1951, Percy Rittenhausen and his family moved to Devon from London and established Burnham Nurseries. Soon after moving, Percy (grandfather of our current President Sara Rittenhausen) began holding regular Sunday meetings at the nursery with a small group of orchid enthusiasts who lived locally, sharing ideas about orchid growing along with a cup or two of Burnham tea. These early enthusiasts were growing their orchids in small greenhouses much the same as many of us do today, and all shared a similar passion for the subject. 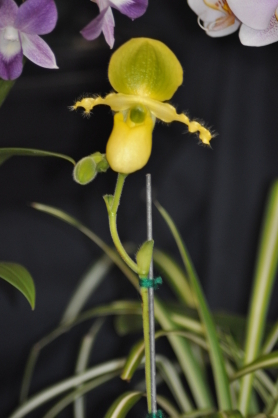 Around this time, several regional orchid societies were appearing in various parts of the country as enthusiasm for growing these wonderful plants was spreading. With Percy's cooperation, the first meeting of the Devon and Cornwall branch of the Amateur Orchid Growers' Society (AOGS) was held at the nursery on 11th January 1958. Once the Devon and Cornwall branch had been established the annual subscription was set at 12s 6d (62p in today's money) and the members enjoyed regular meetings and talks from various speakers as well as the opportunity to showcase their orchids at local and national flower shows. The nursery was made available on Sunday afternoons for the members to meet, and this tradition continues to this day. Following the election of the officers Mr Rittenhausen was voted Honorary Advisor for making the meetings possible. 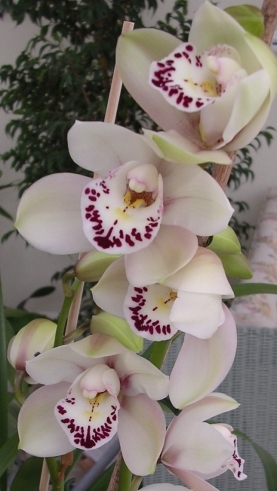 In 1960 the parent organisation (AOGS) became the Orchid Society of Great Britain (OSGB) and the local organisation eventually became the Devon Orchid Society (DOS) as it is still known today.